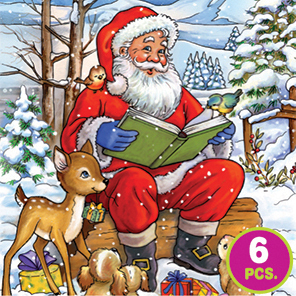 Santa Tales 3-in-1 puzzles include three fun scenes with Santa and his forest friends! Try the easy puzzle first and work your way up to the 16 piece puzzle. Case Pack 24 mix/match Width 6.875"
Item # DT-507 Weight 0.40 lbs.